A illustrated a poster for my client that highlights their favorite spots in the SLO, California area. It’s a nostalgic look back on a place and time in their life. 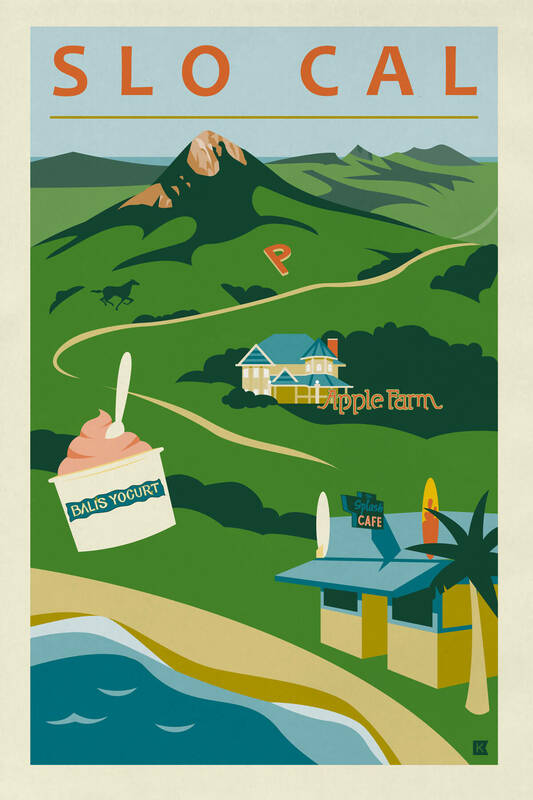 Includes CalPoly, Bishop’s Peak, some of the Seven Sisters, Apple Farm, Bali’s Frozen Yogurt, and Pismo Beach’s Splash Cafe.